Hello ... Hello ... my old friends ... It's great to see you once again! Sight 'n' Sound are a band with an impressive roster of former members including Mike Sheridan, Geoff Turton, Rick Price, Kelly Groucutt and Roger 'Ollie' Spencer amongst not a few others. With a rich live legacy and proven track record interwoven with many connections to the ELOBF universe plus the ringing endorsement of Phil Bates, Yours Truly KJS travelled the short distance to The Tackeroo in Hednesford last night [Saturday 14th June] to see the newly reformed band perform in one their first gigs after their two decade hiatus. 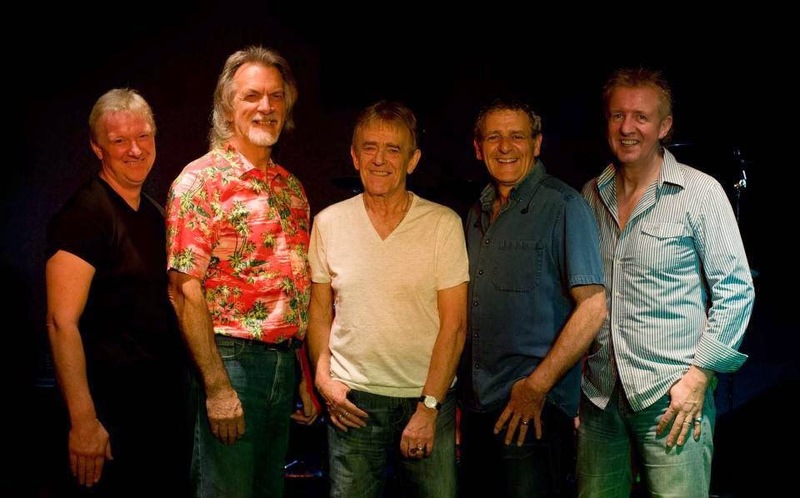 Listening to the band in 2014, you can see why fine vocalists such as Geoff Turton and Kelly Groucutt were members of the band back in the day. I was astonished by how good the band were both in their reproduction of classic rock songs and their perfect vocal harmonies in front of a healthy and receptive audience. In a couple of hours the band delivered a stunning set comprising the hits of such artistes as REO Speedwagon, Chicago, Queen, The Eagles, Kansas, Journey, Toto and, of course, ELO. If an acapella rendition of Billy Joel's "The Longest Time" took the breath away, then their versions of John Miles' "Music" and Richard Harris' "MacArthur Park" were phenomenal. You won't be surprised that the highlight of the evening for me was their ELO medley comprising an acapella intro of "Wild West Hero" leading into "Sweet Talkin' Woman" and a superb full length "Mr. Blue Sky". Without a doubt, this concert was the very best of introductions to Sight 'n' Sound and, judging by the attendance on the night, their longstanding reputation remains intact. Go see 'em folks! Tackeroo set list: "We Built This City"; "Can't Fight This Feeling"; "Hard Habit To Break"; "The Longest Time"; "Bohemian Rhapsody"; "Hotel California"; ELO Medley: "Wild West Hero/Sweet Talkin' Woman/Mr. Blue Sky"; "Music"; "Carry On My Wayward Son"; "Take It On The Run"; "Who's Crying Now"; "MacArthur Park"; "Do You Believe In Love? "; "Rosanna"; "Still The One"; Queen Medley: "Fat Bottomed Girls"/"A Kind Of Magic"/"Hammer To Fall"; "Desperado"; "We Are The Champions"
Sight 'n' Sound are: Paul Trappett [Keyboards/vocals]; Brian Eustace [Guitars/vocals]; Neil Craddock [Bass/vocals]; Warren Shaw [Drums/vocals] and Joe Bartnicki [Guitar/vocals]. 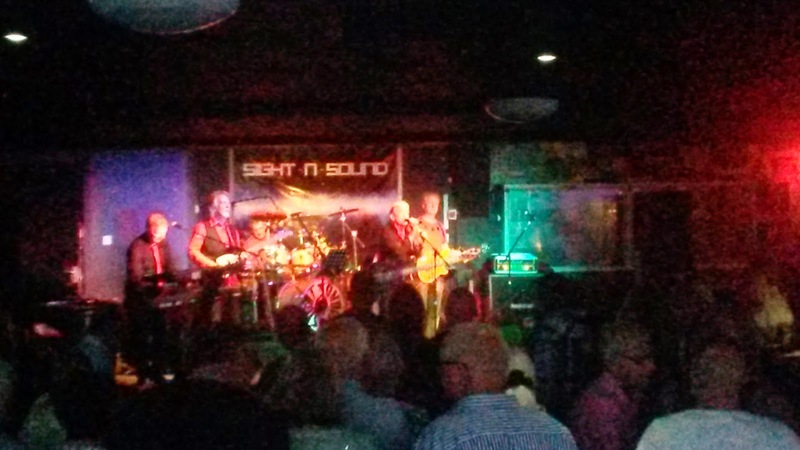 You can find out what the band are up to via their Sight 'n' Sound Facebook page. 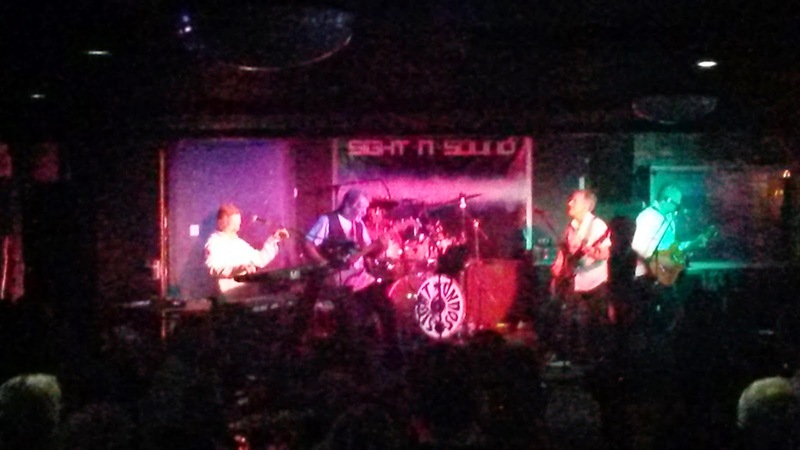 The next scheduled gig for Sight 'n' Sound will be on Thursday 26th June at The Diamond Live Band Suite, Skinner Street, Wolverhampton. ELO Beatles Forever [ELOBF] recommends Sight 'n' Sound to those enlightened folks who enjoy the music of ELO, Jeff Lynne, Roy Wood, The Move, The Idle Race, 'Brum Beat', The Beatles and related artistes.